The first World Design Summit of International Organizations will take place October 23-25, 2017 in Montreal, Canada. Great design can transform the world and this summit will be an unprecedented moment of global unity focused on design-driven solutions. This summit will create an international action plan for solving global issues through design. Designing for the future is a 10-year, design-driven international action plan for creating a world that is environmentally sustainable, economically viable, socially equitable and culturally diverse. The world is facing complex challenges and the more complex the problem, the more the need for synthesis. The power in Design is the power of synthesis. The road to convergence has been forged by focusing on that which is common between the disciplines and on the shared desire to strategically actuate the unique capacity of design to address pressing global needs. Many years in the making, the World Design Summit Meeting seeks to galvanize the resources and skills of the international design, planning, architecture and landscape architecture communities and share a bold vision of a design-driven future. At the summit, international organizations representing design, architecture, urban planning and landscape architecture, are coming together for the first time with representatives of intergovernmental and supranational organizations and specialized agencies, such as UNESCO, OECD, UNEP and ICLEI. Together, the participants at the World Design Summit will develop and put forth a declaration and 10-year implementation framework for continued international collaboration towards the shared objective: designing a better world for all. A joint declaration is the main objective of the World Design Summit Meeting. This declaration is a position statement that will identify the unique role, capacities and value of design and design-related disciplines. The Declaration will also propose an implementation framework for continued international collaboration. The 4 Main Planks of the Declaration will specifically outline how design impacts and can better serve: 1. Economy 2. Culture 3. Environment 4. Society. At the 2015 EEUM Declaration World Design Summit preparatory conference in Gwangu Korea 50 international organizations came together with the common objective of developing an international action plan for harnessing the power of design to address pressing global challenges. This was the first step towards a truly inclusive, multidisciplinary and cross-sectional collaboration. Seven international organizations representing industrial design, interior design, interaction design, graphic and communication design, landscape architecture and housing and planning jointly declared design’s critical role in shaping the world that meets global development goals fostering sustainability, equity, diversity and longterm economic viability. Since then, additional INGO’s continue to join the process, in alignment with this principle. The Congress will take place October 16-20. This is an international multi-disciplinary, multi-modal, solution-oriented congress. A total of 5000 industry professionals and 1000 expert speakers will attend. It will feature 108 provocative topics, 30 luminary keynotes and 6 leading disciplines. This is not just another design Congress. This is an opportunity to take an active part in kickstarting a global initiative. This is an international incubator for re-thinking the mission of the designer and the design process. This is about more than just the latest trends – it is about your role as a creative leader in society, business, culture and governance. Designers, architects, planners and landscape architects are gathering for the first time under one roof to share perspectives, foster collaboration and cross-pollinate innovative ideas. This is about our future. And how to transform it together by design. The Congress program will explore 6 major interdisciplinary themes, subdivided into 108 provoking questions. Congress delegates are invited to take an active role in the program by submitting a proposal for a presentation that will answer one of the 108 questions through transformative design thinking and practices. All sessions are designed to be intersectional, encouraging the sharing of knowledge between disciplines. The program will include a mix of delegate-led sessions, industry panels, workshops, and keynote addresses. The Program is driven by 6 main themes (Earth, Participation, Transformation, Beauty, Sale, Extremes) and as mentioned above108 provocative questions calling for design-driven, solution-oriented answers. Oct 17-20 Get hands-on with the innovations of tomorrow. Professionals: Oct 17-20 General Public: Oct 19, 4-8pm. A total of 500 international companies taking part in the World Design Summit as exhibitors and sponsors. More than 30.000 trade professionals will be attending the Exposition of the World Design Summit, including interior designers, architects, landscape architects, graphic designers, industrial designers, urban planners, builders, developers, real estate, government, lighting designers, media, facility managers, creative thinkers, property managers and corporate clients from the local, national and international markets. Thousands of visitors are invited to discover, touch and witness design through a multitude of innovations. From smart connected cities to connected homes to high-tech innovations, affecting both small town and urban landscapes, the Expo will showcase what the leading innovative design solutions have to offer. 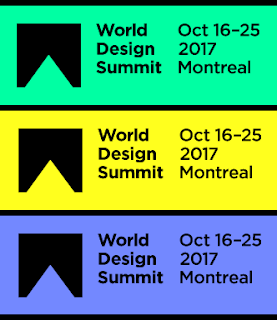 Beyond the official program of events, the World Design Summit will offer delegates and design lovers at large opportunities to discover Montréal design in new and surprising ways. For everybody who loves design, maps and itineraries will be offered to help discover the city’s design hot spots, as well as the artistic and cultural venues that also are showcases for design in their own ways. Design companies will also be opening the doors of their offices and showrooms to the public and to delegates alike. Participants will also have exclusive opportunities to connect with Montreal designers and to discover the work of many of the event’s industry partners. On October 20, congress delegates will be offered special tours that will bring them to the heart of the city’s design sector, with special visits and opportunities to connect with local professionals. The World Design Summit Meeting is invitation-only however, a limited number of exclusive observer seats are available.